It's been a long time since I made an anime theme for you. 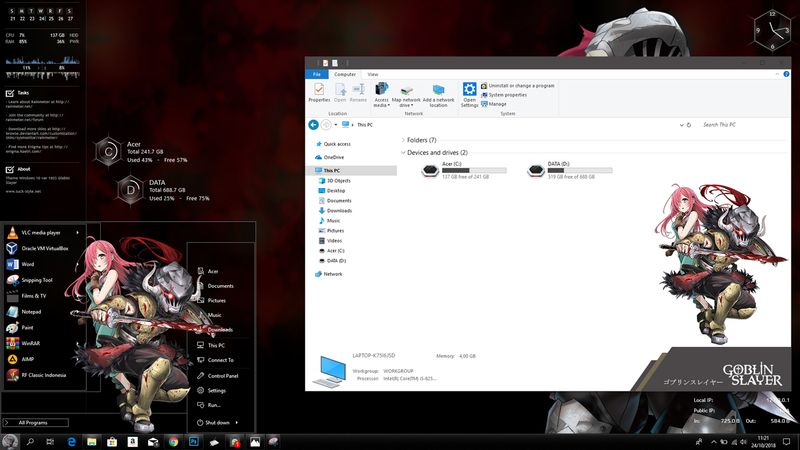 Well, today I want to share a new anime theme for users of Windows 10 version 1803. 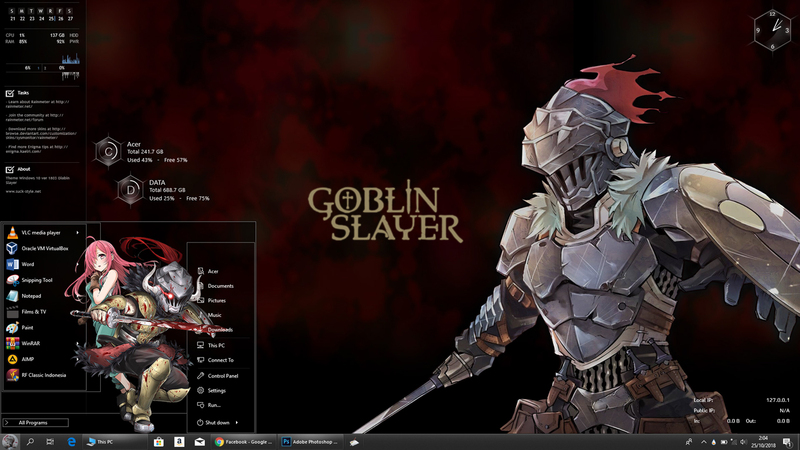 Now, I choose the theme from Fall-2018 namely Goblin Slayer. For the design of this theme, I chose the flat style. In my opinion, this display is more suitable for Windows 10. But of course you must have your own opinion about it. 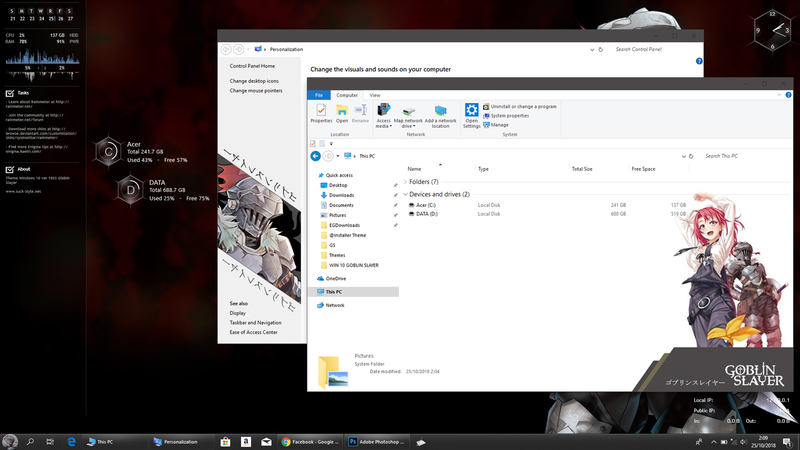 The start menu display on this theme is still the same as my theme before. But I've tried a new styles and I'll finish in the next few days. with other characters of course. According to my wishes, I designed the windows explorer in a flat style. With additional details pane and background folder and also the windows frame that I made with dark brown. Overall, I am very satisfied with this theme. This theme doesn't use too many images. So it's pretty light to use. And for some of my themes in the future, I no longer use the icon or music theme. so the theme that I made was really light. I'm not saving the world. I just kill goblins.